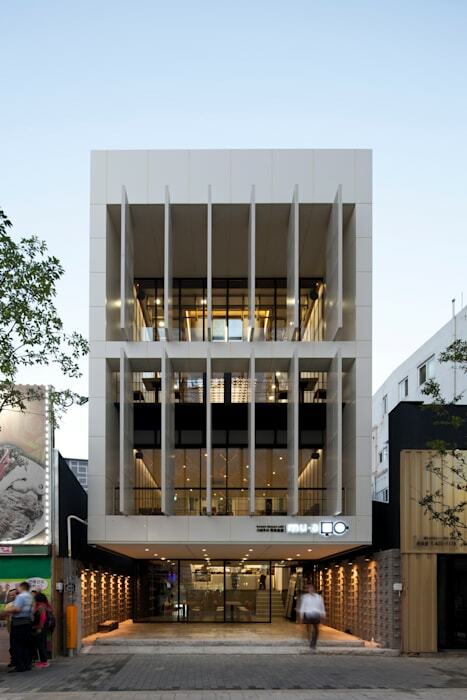 This building borrows the shape of a traditional Korean many-storied building (Nu-gak), according to designer's wish to embody a mass of structure floating in the air. As we know Daegu is very hot in summer, and moreover,this building faces west with strong sunlight in the afternoon. Thus, the designer equipped a big motor-operated louver shading to control light and wind.